Produced as a project by students at the Hochschule fur Gestaltung Schwabisch Gmund in Germany, f.i.n.d.x. is a visually-aided investigation instrument for the medical industry. 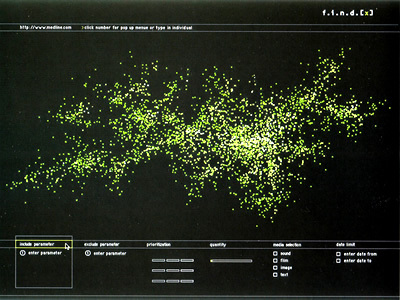 The website uses as its starting point the chaos of fragmented information that is the Internet, illustrated using hundreds of small green floating squares which form an organic galaxy of information. 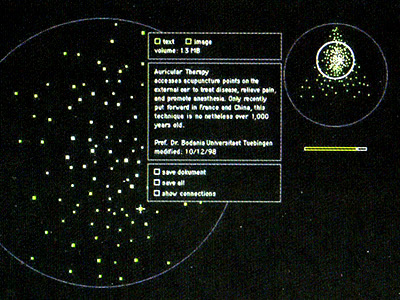 The user can select areas and zoom in to focus on specific areas of research and information.